Cognitive biases make our judgments irrational. 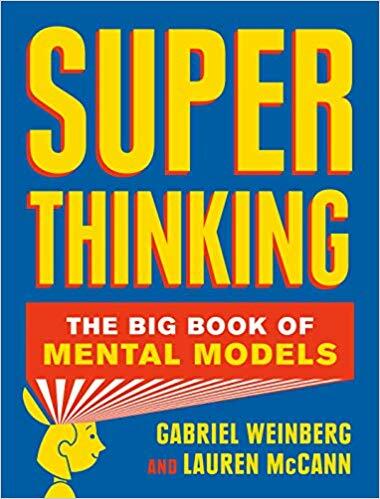 We have evolved to use shortcuts in our thinking, which are often useful, but a cognitive bias means there’s a kind of misfiring going on causing us to lose objectivity. This website has been designed to help you identify some of the most common biases stuffing up your thinking. 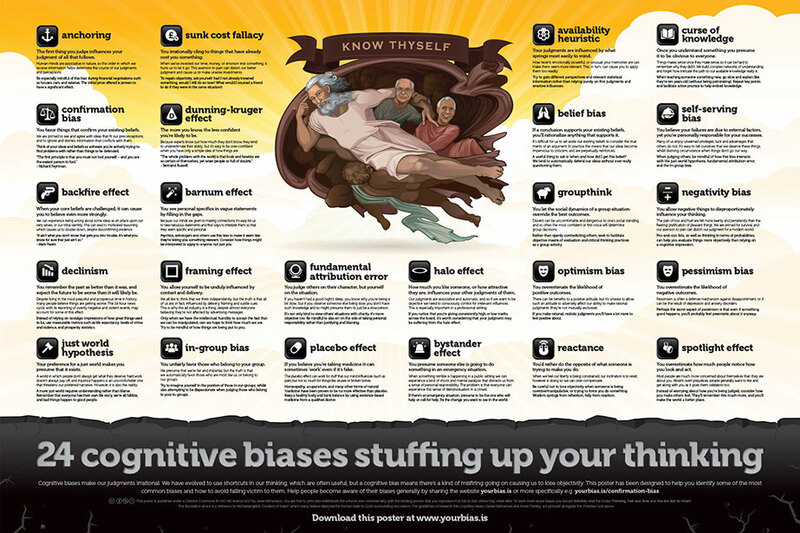 This handy reference poster highlights 24 of the most common biases that affect our thinking. Download a printable PDF version or get a nice printed wall poster delivered. Check out the sister site featuring 24 of the most common logical fallacies used by politicians, the media and advertisers to manipulate and persuade.